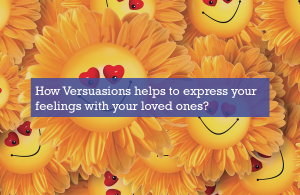 How Versuasions helps to express your feelings with your loved ones? Everyone has their own way of expression. We all have a lot to express, but finding ways to do so is more than half the battle. Versuasions is akin to a weapon in this enigma of battles. It is the new ‘online’ way to express yourself and tell loved ones that you care. Versuasions offers a touching and emotional product ‘A VERSUADE’ allowing you to self express creatively across the web. Communicating over the Internet has attracted a lot of criticism these days because people don’t use facial expressions, a tone of voice, and body movements to express themselves. Today, technology is continuously being changed and is ubiquitous in the office and home environment. While criticism has remained on the grounds that people are not expressing themselves, platforms like Versuasions are the answer to the problem. 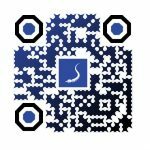 Versuasions is an innovative and exciting way to use technology to express personalities, style, ideas, feelings and is ready to change the way people think and convey true thoughts. We will be the curator of human emotions demonstrating through careful thought love, warmth, “frustration” with authentic online expressions. Our product (A Versuade) is equivalent to a “gift” which has the power to express and deliver a memorable experience. It will allow its customers to connect emotionally with people who have been part of their life’s journey. It’s hard to put one’s thoughts into words, but A Versuade makes expressing what you’re really contemplating that much easier. Simply existing on this planet can generate a series of emotions. The energy behind happiness, frustration, and sadness needs the appropriate area to capture such energy. For example, We all know the emotions associated with love, but finding the appropriate words to explain those feelings is a pretty tough task. But, with Versuasions, you need not to worry because we strongly aspire to be an emotional distributor who exposes customer thoughts through words and provide the right touch and emotional tone. And in doing so through paperless images and videos we ideally consider the important elements of a customer’s time while delivering their captivating emotional thoughts. Versuasions wants you to remember expressions is important to those locally, nationally and globally. This is your cause. Express and capture your thoughts. It’s your right to express yourself freely and share what you think or feel, be it controversial or not. So, keep expressing yourself via Versuasions because we serve you by offering the fastest relevant emotional connection while remembering the importance of what’s deemed today as the “common” use of words.